A range of resources and best practice success stories have been pulled together to make promoting research and its benefits to patient care more accessible to everyone. The NIHR website now hosts a number of pages and resources, such as how the NIHR can help academic researchers to conduct and deliver research, and success stories from amongst the research community – access the following link to find out more. Remember that support is on offer at BU if you are thinking of introducing your research ideas into the NHS – email the Research Ethics mailbox, and take a look at the Clinical Governance blog. 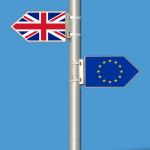 A recent inquiry into research integrity was made earlier this year by the Science and Technology Committee, which revealed that nearly half of clinical trials fail to publish their results. This lack of publishing has been deemed a risk to human health and a contributory factor in research wastage. 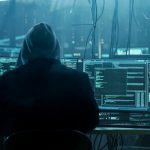 The article gives examples of a number of studies that are yet to be published, and how this activity ‘threaten(s) research integrity, and in some cases, endanger(s) human life’. The full article can be found here. The University has administrative access to the ClinicalTrials.gov system – get in touch with us if you are conducting clinical research, to ensure that you have access. 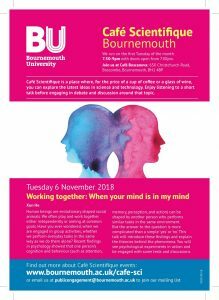 Café Scientifique Bournemouth – We run on the first Tuesday of the month. Cafe Scientifique is a place where, for the price of a cup of coffee or a glass of wine, you can explore the latest ideas in science and technology. Enjoy listening to a short talk before engaging in debate and discussion around that topic. We’ll be joined by Xun He to discuss – Working together: When your mind is in my mind. Human beings are evolutionary shaped social animals. We often play and work together either independently or aiming at common goals. Have you ever wondered, when we are engaged in group activities, whether we perform everyday tasks in the same way as we do them alone? Recent findings in psychology showed that one person’s cognition and behaviour (such as attention, memory, perception, and action) can be shaped by another person who performs similar tasks in the same environment. But the answer to the question is more complicated than a simple ‘yes’ or ‘no’. This talk will introduce these findings and explain the theories behind the phenomena. You will see psychological experiments in action and be engaged with some tests and discussions. If you have any questions please do get in touch. You can also follow us on Facebook and Twitter. Plus, why not send us a request to be added to our Public Engagement mailing list and be the first to hear about all our events and activities. Places are going fast for our conference next month. See full programme here. If you would like to secure a place please register here. Bournemouth Café Scientifique is turning 6 on Tuesday 2 October. To celebrate we have a fantastic talk from Dr Curie Scott about changing our attitudes to ageing. We’ll also have Birthday Brownies! One in five people alive today will reach their 100th birthday. You are going to grow old but have you thought about it? Ageing is a taboo subject and older people are often stereotyped and overlooked. Dr Curie Scott invited people over 60 and students from Health & Social Care professional courses to four drawing workshops. Come and hear how drawing about ageing made a startling difference to their current lives. In terms of ageing, we cannot separate ourselves from our future older self, however much we want to do so. ‘They’ are the ‘we’ of the future. Applying for grants is great! I recently had the opportunity to apply for a grant as principal investigator. The reason for writing this post today is to say thanks to everyone involved, including the RKEO staff, the Co-investigators (Paula Callus in particular), the partner institutions but also all colleagues who gave us suggestions, supporting and helping also if not involved (Isabella Rega and Richard Berger were some of these). On reflection, I would have done all of it differently. 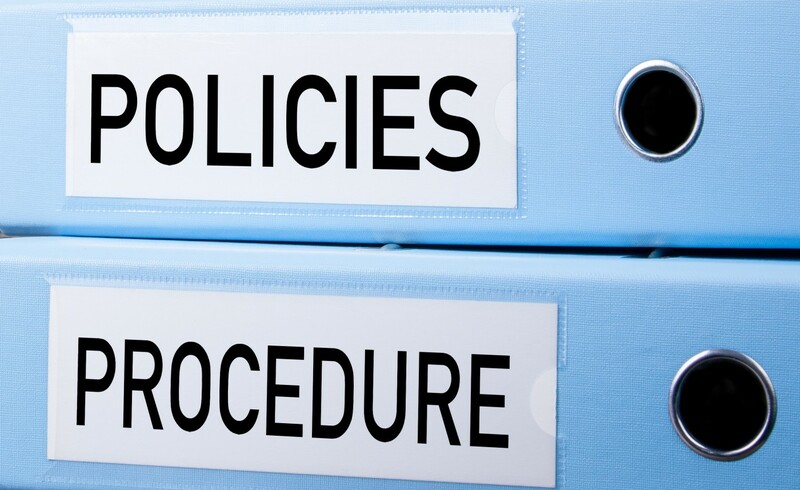 More time was needed (possibly not when on Annual Leave and not night time), partners need to be in place well before the call is out, reference letters cannot be asked for last minute, etc. I made all (or almost all) the mistakes above, but I had a very clear idea about the project and I felt surrounded by enthusiastic colleagues who were happy to share their expertise with me. I now know I have still a lot to learn and I can’t wait for the next opportunity. A good point was to take notes which will be used for next grant applications. 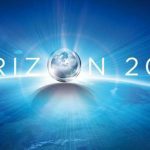 Somehow it does not matter if we will get the funding at this first attempt, we are looking forward to improving the application and the project itself, which will require more research. 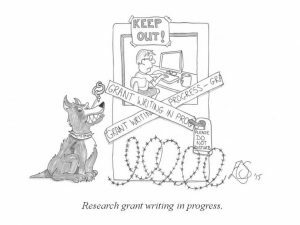 Yes, applying for grants is not a boring task, there is a lot of research involved which brings new ideas and opens up opportunities, whether you get the funding or not. I hope this post will be read as a positive gentle push to apply for grants and not only because it’s the Institution in need of more grants applications but because the process itself is incredibly enriching. I hope my colleagues enjoy their future grant applications as much as I did. Home Instead is launching the Stay Nourished initiative in consultation with Professor Jane Murphy from BU’s Ageing & Dementia Research Centre. Yolanda Barrado-Martín from the Psychology Department and Ageing and Dementia Research Centre (ADRC) attended the 47th edition of the British Society of Gerontology in Manchester (UK) from 3rd July to 6th July 2018.
International researchers from different disciplines gathered in Manchester to learn about projects under the theme “Ageing in an Unequal World: Shaping Environments fro the 21st Century”. This was a very well attended conference (with a waiting list), with up to 17 parallel sessions. Dementia had a relevant space in this conference with different sessions highlighting the use of diverse interventions to improve the quality of life of people living with dementia and those providing support such as facilitating decision making processes, exploring environmental adaptations and supporting home-care for those willing to stay at home. Yolanda Barrado-Martín had an oral presentation entitled: “How is Tai Chi received by people living with dementia and their informal carers?” Those attending the session showed their interest in the topic and asked questions about people living with moderate dementia’s involvement in the classes and about the Ransomised Controlled Trial Phase of the study. 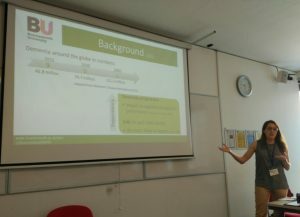 This was a great experience for Yolanda who presented her PhD pilot results to a friendly international audience. 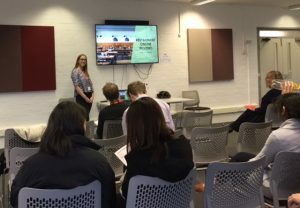 The ADRC’s work was also represented by Dr Michele Board who gave a presentation on “Evaluating the impact of the Virtual Reality app ‘A Walk Through Dementia’, and Mananya Podee who discussed leisure activity, arts and social inclusion for those with dementia. Participation in the BSG conference was a valued addition in knowledge regarding psycho-social interventions for people living with dementia and a great opportunity to network with researchers from the gerontology background. Yolanda’s attendance to this conference was possible thanks to one of the Santander Mobility Awards. 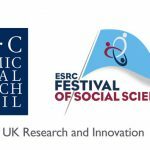 British Society of Gerontology 47th Annual Conference – Ageing in an Unequal World: Shaping Environments for the 21st Century. Dr Holly Crossen-White has had a conference paper accepted for National Programmes Conference: Museums and Digital Memory Conference to be held at the British Museum in September. The paper will be presented with Dr Trudie Cole, Head of Access and Participation, The National Museum of the Royal Navy. Trudie and Holly have previously worked on several research projects related to the use of digital archives and this gives them opportunity to apply their findings within the context of collections held by the National Museum of the Royal Navy. Holly’s research interest in digital archives arose through her PhD which explored the hidden history of illicit drug taking during the early twentieth century. 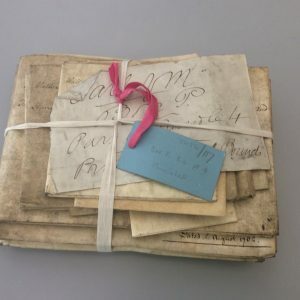 Holly has published on the ethical issues of undertaking research using digital archives and has been awarded Faculty Seedcorn Funding with her colleague Dr. Angela Turner-Wilson for some of this research work. Your vote is needed please!! 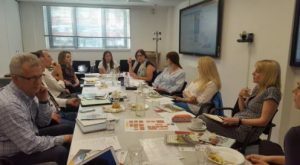 Over the last 3 years, Prof Jane Murphy from Faculty of Health & Social Sciences and The Ageing and Dementia Research Centre has been working with The Nutrition in Older people Programme team at the Wessex Academic Health Science Network as Clinical Lead. The team has been shortlisted in the ‘ Community Nutrition Professionals of the Year’ category for the Complete Nutrition awards in the Community Nutrition Professional of the Year category that recognises their contribution to support nutritional developments in the community. Please click on below for further details and would be great if you can add your vote! Just select Wessex Academic Health Science Network – Nutrition in Older People Programme Team ‘ Community Nutrition Professional of the Year’ and any other categories to suit. The Centre of Postgraduate Medical Research & Education (CoPMRE) held its Spring Visiting Faculty Day at the Executive Business Centre. Fourteen posters (VF Programme Spring 2018) were presented showcasing the breadth of collaborative projects being undertaken by BU and local clinicians. The Best Poster prize was awarded to Dr Paul Whittington, Department of Computing & Informatics, Faculty of Science and Technology, for his presentation entitled Automatic Detection of User Abilities through the SmartAbility Framework. Professor Tamas Hickish, judge, felt that all the posters were excellent and address important health care issues. Paul’s poster was chosen as the research was generated by a deep understanding of disability, the use a mobile phone technology and generalisability to significant areas of health care need such as stroke and frailty. As such his work is scalable and feasible. Visiting Faculty Days are a great opportunity to share innovative ideas and research. The event was very well received and links for possible further collaboration have already been formed as a result of networking. Our next Visiting Faculty Day will be held in December. On the 10th April 2018, Dr Ben Hicks (Psychology Lecturer and ADRC) presented on the graffiti work that was undertaken at the Brooke Mead assisted living facility in Brighton. The event was used to mark the opening of Brooke Mead, a facility with 45 self-contained flats for people with dementia and their care partners, and was attended by the Brighton Mayor and local councillors. 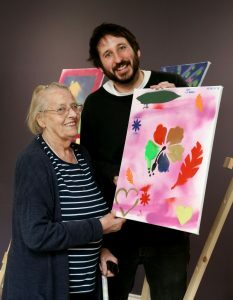 Over the past month, as part of a British Psychological Society funded project, Ben has worked with Dr Shanti Shanker (Psychology Lecturer), Angela El-Zeind (Graffiti Artist) and James Skinner (documentary film maker) to deliver a series of graffiti workshops to residents of Brooke Mead who are living with dementia. The workshops focussed on exploring participants’ sense of ‘self’ and identity since the on-set of dementia and their transition into a new environment. As part of this, they were encouraged to ‘get creative’ by crafting their own stencils, developing their own ‘tag’ (a symbol that is personal to them) and expressing their message on a canvass board using spray cans. A short film documenting the workshops was created as part of the project and was premiered at the opening alongside the residents’ art work. The art work was warmly received by those attending the event, and informal discussions highlighted the potential that graffiti has for providing a creative platform whereby people with dementia can challenge negative public perceptions of their capabilities. As Brooke Mead continues to fill its rooms with local Brighton residents, they are keen for further graffiti workshops to take place. Boosted by these positive findings, the researchers will use this preliminary data alongside the short film to seek funding for a more substantial project that will examine how graffiti arts can be used as a medium to support identity and social inclusion in people with dementia. NIHR Career Development Fellow, Dr Samuel Nyman (Dept. Psychology and Ageing & Dementia Research Centre), is the lead editor of a newly published Handbook. It is published as an eBook and hardback (https://www.springer.com/gb/book/9783319712901), and a copy will be available in the BU library in the near future. The ageing of our population is a key societal issue across the globe. 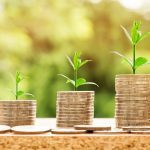 Although people are living longer, they need to be living longer in good health to continue to enjoy quality of life and independence and to prevent rises in health and social care costs. 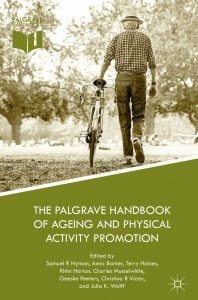 This timely and groundbreaking volume will provide an up-to-date overview of the factors that promote physical activity in later life. Despite advances in the fields of gerontology and geriatrics, sports and exercise science, sociology, health psychology, and public health, knowledge is largely contained within disciplines as reflected in the current provision of academic texts on this subject. To truly address the present and substantial societal challenges of population ageing, a multidisciplinary and collaborative approach is required. This handbook will inform researchers, students, and practitioners on the current evidence base for what physical activities need to be promoted among older people and how they can be implemented to maximise engagement. This handbook will be an invaluable resource for researchers, practitioners, policy makers, and students across the social sciences. Professor Jane Murphy from the Ageing and Dementia Research Centre (ADRC) has been invited to join the Malnutrition Task Force (MTF) board (http://www.malnutritiontaskforce.org.uk/) as an associate board member to increase the breadth of knowledge and experience of the team. It offers an exciting opportunity to contribute to and shape the work of the MTF work programme and priorities to effectively tackle avoidable malnutrition across our society. Jane is currently undertaking funded work as Clinical Lead for the ‘Nutrition in Older People Programme’ with the Wessex Academic Health Science Network. 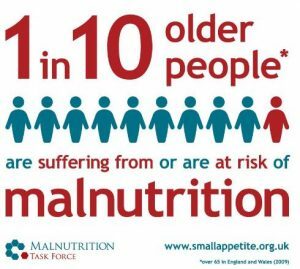 The MTF is an independent group of experts across health, social care, local government and industry united to address avoidable and preventable malnutrition in older people. Age UK provide the Chair and Secretariat. 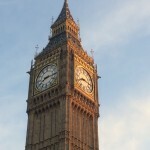 Jane attended the first meeting on 20th April 2018 to start the ball rolling! 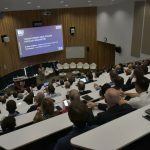 A year on from BU hosting the prestigious British Conference of Undergraduate Research, the annual BCUR 2018 gathering this year was hosted by the University of Sheffield last week. 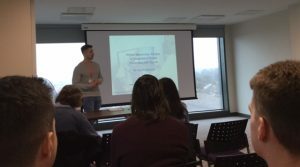 On the heels of a successful SURE 2018 at BU in March, 7 undergraduate students from across all faculties were supported to showcase their research at BCUR 2018 among close to 600 delegates. Atanas Nikolaev, a SURE sponsored student and recent graduate of Sports Management did a presentation on his ethnographic study of Embodied Experiences of Women at Leisure Centres, “The most interesting aspect of the conference to me was the opportunity to engage with like-minded people across various scientific fields. It was a great way to get exposure for my research project and be challenged with ideas that could potentially lead to future developments. 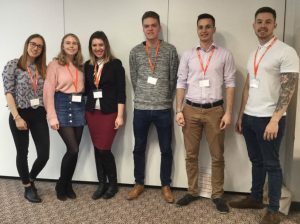 BCUR was great to learn about research that was of interest to me and to potentially build lasting relationships with young researchers from across the country”. Bethan Stephenson, an FMC student studying English presented a piece of research entitled ‘The Changing Space of Warwick County Museum’ which challenges notions of memory and how historic accounts are valued. Bethan said “I really enjoyed the experience of attending the British Conference of Undergraduate Research (BCUR) at Sheffield University, and found it very illuminating. I got there not really knowing what the conference fully entailed, and so was very pleasantly surprised. As a final year student, I’ve been recently contemplating post-graduation options, and the introduction to BCUR was incredibly informative. They discussed the importance of research-based careers, and the opportunities this can lead to. I’ve always loved research, and have multiple fields that I’m passionate about, and so I really feel like this introductory talk helped confirm my desire to undertake a masters, and possibly a PhD, in the future”. Other BU students taking part included Charlie Simmons, a business studies marketing student presenting on Digital Immersion and the Streaming of E-Sports. Tereza Paskova, a final year Tourism student presented on Emotional Intelligence as a tool in customer satisfaction in tourism/hospitality settings. Isobel Hunt, a Faculty of Science and Technology student studying Psychology presenting on Consumer Decision Making and Trust for Online Restaurant Reviews and Scott Wilkes who is studying Sport Development and Coaching Sciences and also presented his research on the effects of stammer has on social participation in sport amongst Young People. The involvement of BU undergraduate research at the national BCUR event along with a presence at their annual precursor event, Posters in Parliament, has been possible with key support and involvement from CEL and key contributors across all faculties. It is an opportune channel for students to engage with the research process and make real world connections to the impact of their work. For future opportunities in these initiatives, contact Mary Beth Gouthro mgouthro@bournemouth.ac.uk. Last week Sacha Gardener reported on this BU Research Blog on the publication of our most recent article ‘Why suicide rates among pregnant women in Nepal are rising’ in The Conversation. Since then we have been informed that this piece was reproduced in two Indian independent online newspapers, last week in The Wire and today in Scroll.in (India’s leading independent source of news, analysis and culture). Scroll.in used the heading ‘A project is training midwives in Nepal to stem rising suicides of pregnant women’, whilst The Wire used the title ‘Why Suicide Rates Among Pregnant Women in Nepal Are on the Rise’. Suicide in pregnant women and soon after birth is an important issue in both Nepal and India. 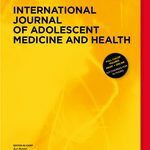 Just for completeness the original article, written by BU’s Visiting Faculty Dr. Bibha Simkhada and Prof. Edwin van Teijlingen based in BU’s Centre for Midwifery, Maternal and Perinatal health (CMMPH), can be found here! The British Ambassador to Nepal Richard Morris hosted the launch of a report of a market study of Nepal’s education sector today (28th February) in his Kathmandu Residence. The report was commissioned to help support UK service providers who are looking for education opportunities in Nepal. 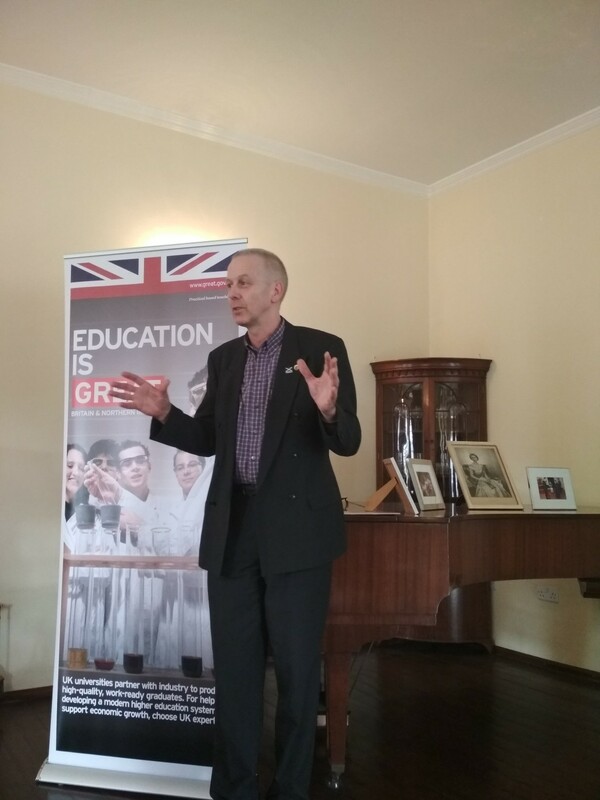 The Ambassador invited Bournemouth University’s Prof. Edwin van Teijlingen to highlight the UK’s expertise in research, as well as to share his own experience in UK-Nepal partnerships/ collaborations in education. Prof. Edwin van Teijlingen is Visiting Professor at colleges in Nepal: (1) Nobel College, affiliated with Pokhara University; and (2) Manmohan Memorial Institute of Health Sciences, affiliated with Tribhuvan University. 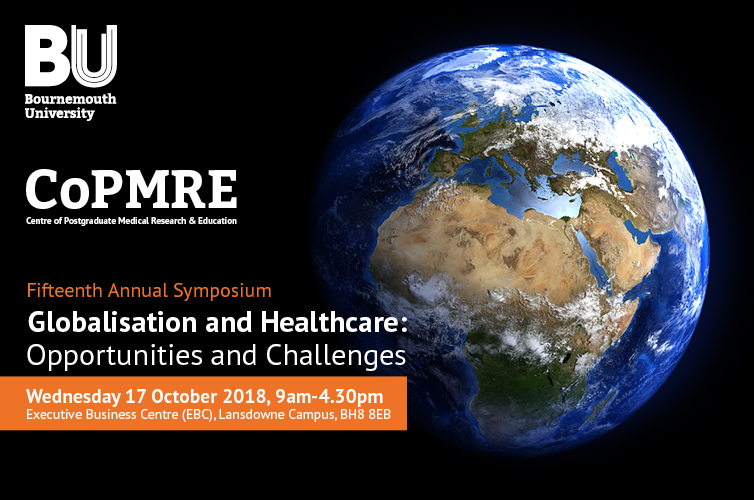 Systematic Review of Reviews included 31 systematic reviews which examined community engagement/participation approaches in improving health (maternal and child health, infectious or communicable diseases, ‘other’ disease areas), service delivery and sustainability outcomes. There was wide variation in the aims and objectives, and methods of analysis across the included systematic reviews. In part this reflected a lack of a standard definition or terminology in how community engagement and participation approaches were described or characterised. The overall strength of the systematic review-level evidence has been categorised as of limited or moderate, however many systematic reviews reported consistent findings. Community engagement and participation approaches continue to be viewed as important, particularly in LMICs. The general trend in the evidence identified suggests that community engagement and participation approaches have played a role in successful intervention delivery across health system domains and areas of health. However the extent to which community ownership and empowerment is achieved greatly impacts on the sustainability of these approaches and our evidence draws out some key factors for consideration in the delivery of successful community engagement and participation. 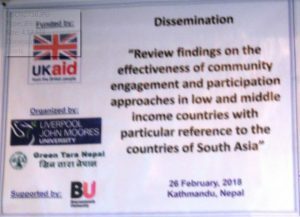 The study was led by Prof. Padam Simkhada from Liverpool John Moores University with support from staff based at the University of Liverpool, Bournemouth University and Green Tara Nepal. The study was commissioned and funded by the Research and Evidence Division in the Department for International Development. 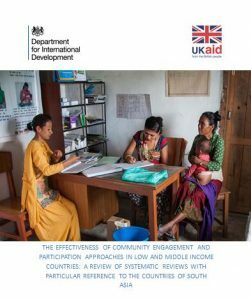 The forthcoming report has been funded by UK aid from the UK Government.